Just Listed! 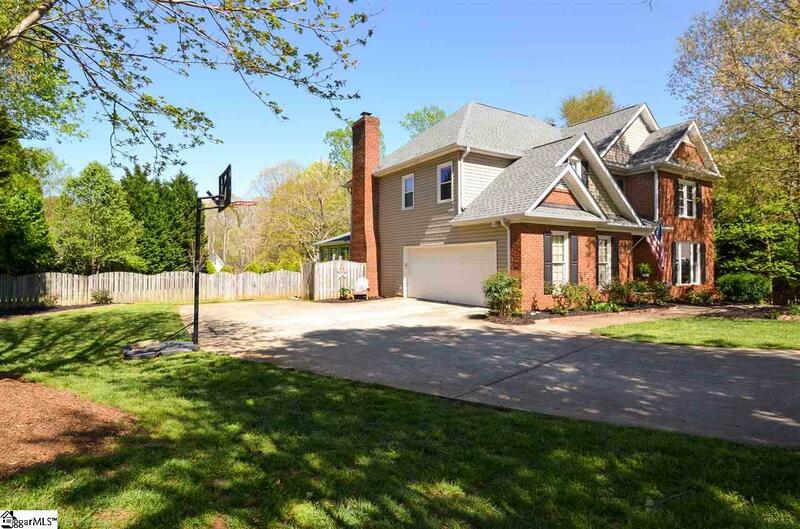 OPEN HOUSE scheduled for this Sunday, April 14th, 2pm-4pm. Location, Location, Location! 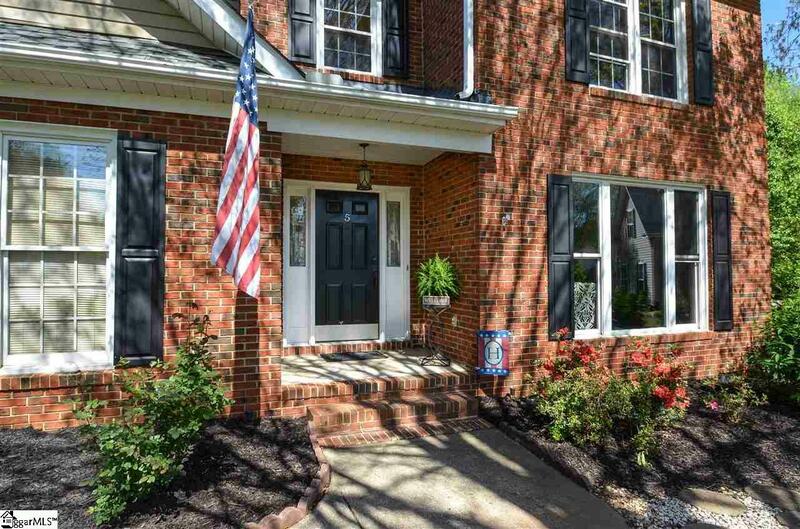 Come and view this lovely family home located in a much desired Cul-De-Sac of Neely Farm! Located at the front of the neighborhood, yet tucked back into a Cul-De-Sac, it gives you Privacy, yet Huge Conveniences. 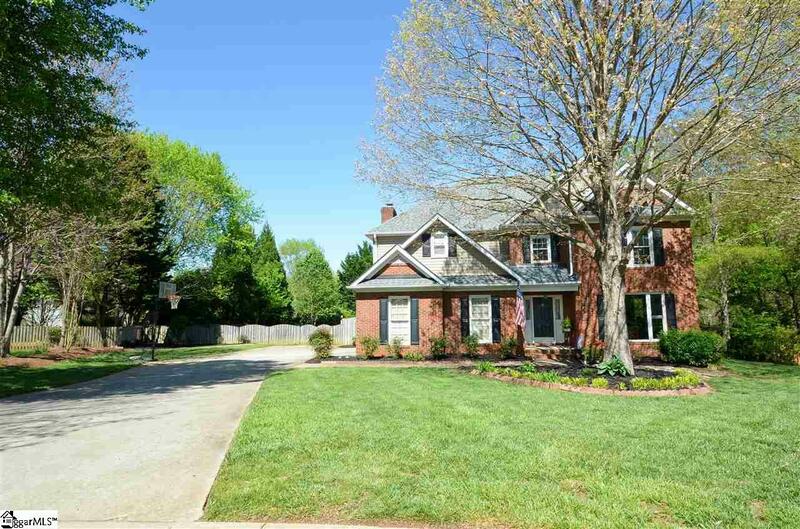 You are only a block to the Wonderful Neely Farm Amenities, which include the Clubhouse (w/ many activities planned throughout the year), the Tennis Courts, the Pool (there is a kiddie pool too) and the great Playground for kids to enjoy! You can also, very easily drive just a few minutes down the road to the many Great shops and restaurants that the Fairview Rd. area has to offer. 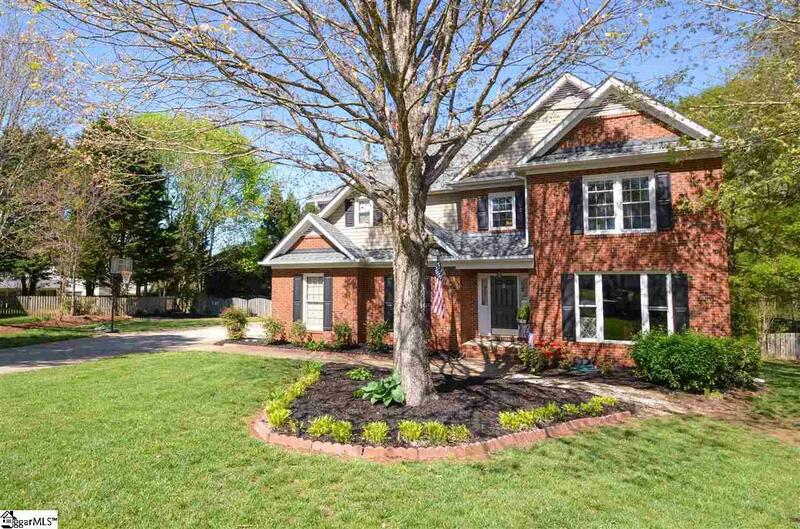 When you arrive at 5 Wandflower Ct, you will love its curb appeal, with a brick front, a long, flat driveway, the extra parking pad and a sought after side entry garage, not to mention, a newer roof in 2014 and maintenance free windows throughout! You will enter the home to a gorgeous two story foyer that boasts a stunning brand NEW light fixture and FRESH neutral paint that was professionally done (just last week) throughout most of the main floor, up the stairs and through the halls keeping it cohesive through the home. Youll also notice the lovely hardwood flooring throughout most of the main floor as well. To the right of the foyer you have the formal living room (currently used as an office) that has amazing natural light flowing through the windows and that carries through to the dining room and its ample sized windows too. Next, to the kitchen to see the brand NEW tile backsplash that was just put up (last month) and compliments the granite countertops, the cabinets and the new paint too. One can eat at the breakfast area admiring the large flat, fenced back yard and perhaps watch the kids play or simply sit at the bar counter space and unwind. The open floor plan then connects you to the large family room, where in the colder months one might cozy up on the couch and enjoy the masonry wood burning fireplace that has a gas starter and an ash pit/trap to keep things cleaner when used. Or ANY time of the year, one can ENJOY the GORGEOUS and HUGE sunroom with vast windows from the bench seats on up to the vaulted ceiling! On those warmer days, one might take advantage of the ever so LARGE deck to grill out and entertain. Back inside youll find a half bath on the main floor, as well as the laundry room. Up the lovely hardwood staircase to the 4 bedrooms and bonus room, youll find a full bathroom, flanked by a bedroom on each side, which have both been recently painted to the stylish tastes of a girl in one and a boy, for the other. Down the hall youll have the bonus room on the left (currently a play room, yet could be an office area or workout area, etc). Across from the bonus room youll have the spacious master bedroom with a Gorgeous trey ceiling and a Large master bathroom that has a separate shower and a separate jetted garden tub to soak the day away. Youll find his and hers sinks and a nice walk-in closet to share. The last bedroom, the guest bedroom, which finishes off the home with spare room for family or friends to visit. Dont wait, call and schedule your private showing today! Listing provided courtesy of Jenifer Fiddelke of Exp Realty Llc.